As Glassbeam expands its sales into healthcare provider market, we have found an unmet need for Radiology groups to automate their asset utilization reporting. Key business driver is their quest to enhance patient care by reducing patient revisits and reschedules, understanding physician referral leakage and maximizing machine utilization. TDWI Business Intelligence Volume 23 Number 2 carries my article on the antidote to improving a Healthcare provider’s performance. I have based the article on Harbor Research’s Machine Data Analytics Drives Innovation in Healthcare Market research report. Integrating Machine Log Data with CMMS Solutions. An Exciting Opportunity for Glassbeam! Glassbeam loves its customers. 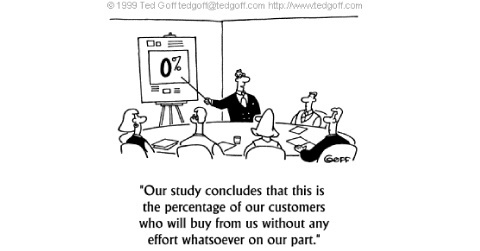 Customer development is an integral part of Glassbeam. Our healthcare/clinical customers are telling us how the newly launched Glassbeam CLinical Engineering ANalytics (CLEAN) Blueprint is creating immense value by analyzing machine log data and presenting deep insights about machines in their clinical environment. Read more about Integrating Machine Log Data with CMMS Solutions. An Exciting Opportunity for Glassbeam! Glassbeam for Glassbeam (Part 3) – Making our Support Team Super Heroes! In the second post of this series, I have listed the high level use cases of Glassbeam for Glassbeam across our internal teams: Technical Support, Sales, Engineering, and Product Management. 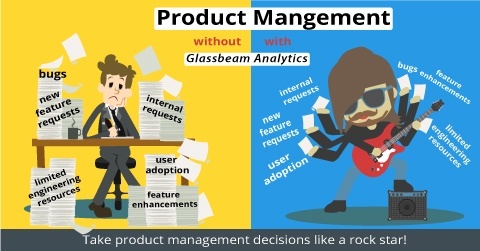 In the next 4 posts, I will dive deep into the use cases for each of the above teams and talk about the value Glassbeam for Glassbeam as a data-driven decision making solution, brings to each team. Read more about Glassbeam for Glassbeam (Part 3) – Making our Support Team Super Heroes! Glassbeam for Glassbeam (Part 2) – Why, Who and for What! In my first blog in this series (here), I talked a little about the importance of log analytics in general and specifically I touched upon the types of logs and the frequency of our log data collection. In this post, let’s go over the use cases of our teams in Glassbeam. The use cases our teams have are very similar to the use cases that we solve for our customers. Read more about Glassbeam for Glassbeam (Part 2) – Why, Who and for What! The connected medical equipment is here and the possibilities of a fresher, richer future are staggering. Imagine CAT scanners talking back to technicians, initiating reports on its profitability, or does a self-diagnosis and tells product management they ought to replace it. These possibilities are not too far into the future but we’re almost there. The need for proper tool to organize and understand the underlying patterns in machine data exists. From what we’ve been hearing, that’s gripping the Chief Data Officer’s mind. Why?